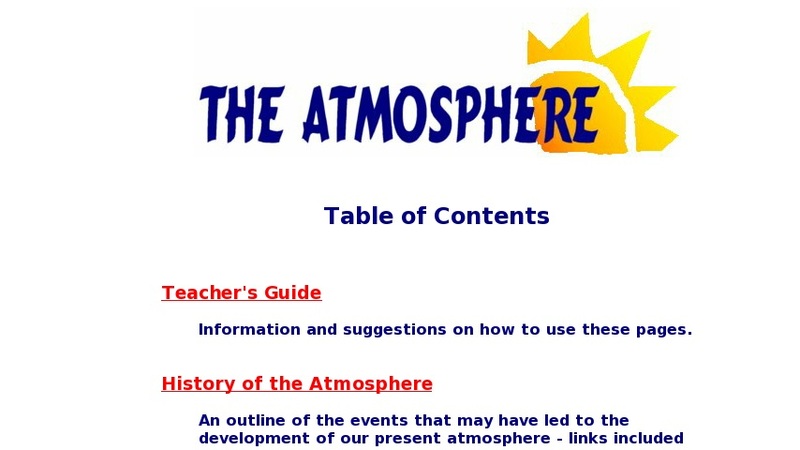 The lessons at this website were prepared to introduce 5th-8th grade students to the fundamental principles of the earth's atmosphere: history, composition, and structure. Includes three pages of information and features to allow for exploration and expansion of current knowledge. In addition, there are four activities to develop performance skills, not only in science, but in math and language arts as well. Links to external sites also included.